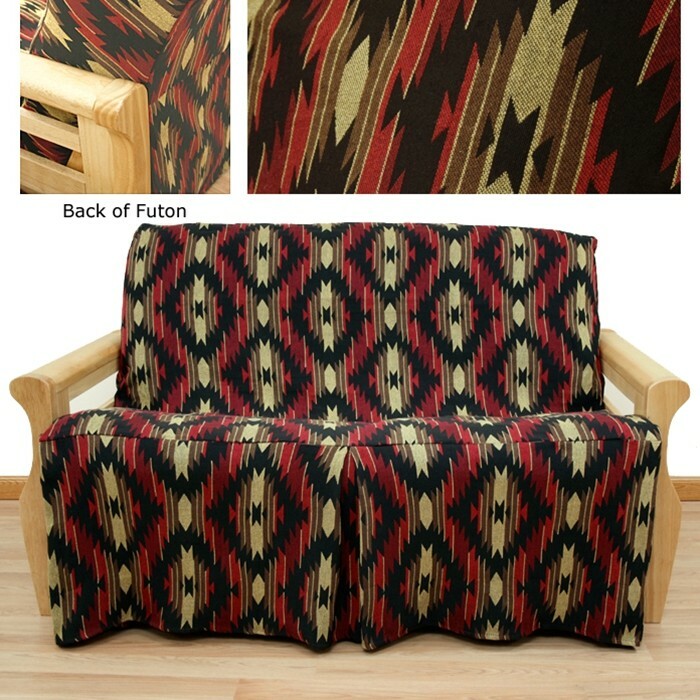 Arizona Click Clack Futon Cover - Buy from Manufacturer and Save. 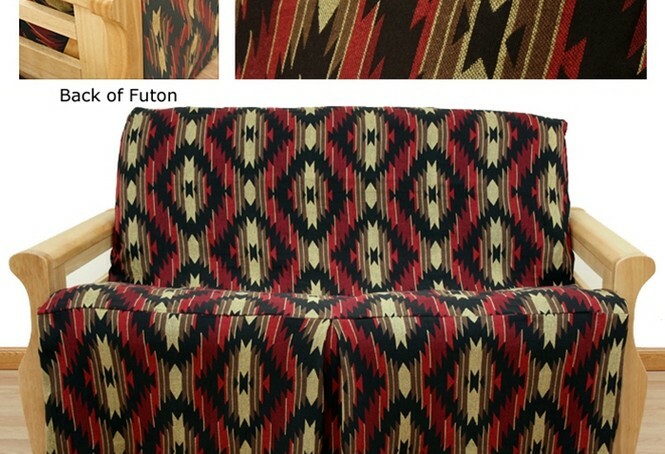 Works on any Futon or Click Clack sofa bed. Arizona skirted futon cover works for both traditional futon or click clack sofa bed and is an attractive cover pattern which will create a spacious flow to your living space. It offers a mesmerizing southwest tapestry in a wonderful color scheme. It is made of Southwest tapestry Fabric which is durable, rich looking, 55% Cotton and 45% Polyester, easy to care for & machine washable. 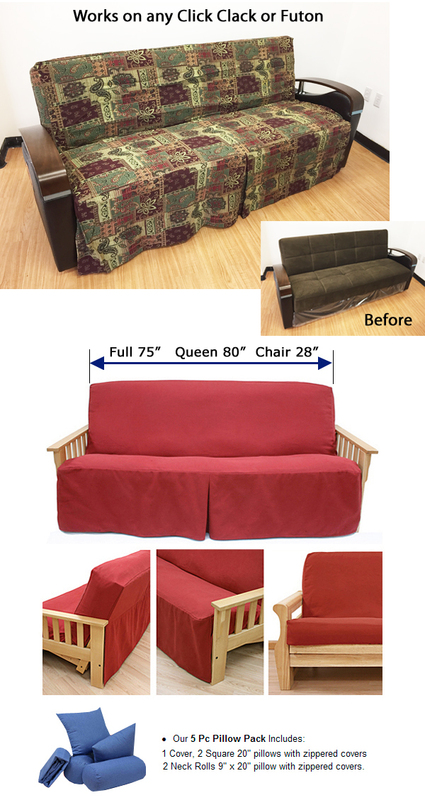 Made to fit Click Clack sofa bed or full size futon with back measuring 75 inches wide. 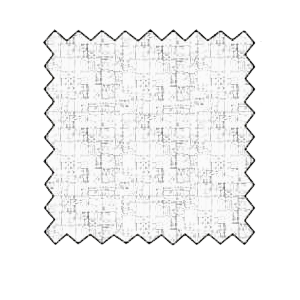 Patented construction by Easy Fit, is extremely easy to apply or remove. Completely conceals the front and back of the frame. Front skirt can be folded for exposed front appearance. Made to fit Click Clack sofa bed or full size futon with back measuring 75 inches wide. Set includes full skirted cover, 2 pillows and 2 bolster pillows. Patented construction by Easy Fit, is extremely easy to apply or remove. Completely conceals the front and back of the frame. Front skirt can be folded for exposed front appearance.